I needed to enable a cache so selected the "enable" option on the right hand side, but when I clicked "post" it wanted a date and would not continue. I could not find anywhere where there was a date to select. I clicked everywhere. I then discovered that if you select "Log a new visit" then "owner maintenance" you can then select a date (just as there is only the arrow to drop to menu visible). Then you can select "enable". This seems very long winded and when I asked on the Facebook page a couple of other people seemed confused by this. Has anyone else noticed this? When I click on "Enable", a date shows for a split section at the top right of your screen shot. Then it's gone. Can you try again and see if the date shows for a split second? Odd glitch! Windows Pro, Firefox 61.0.1 scripts disabled. 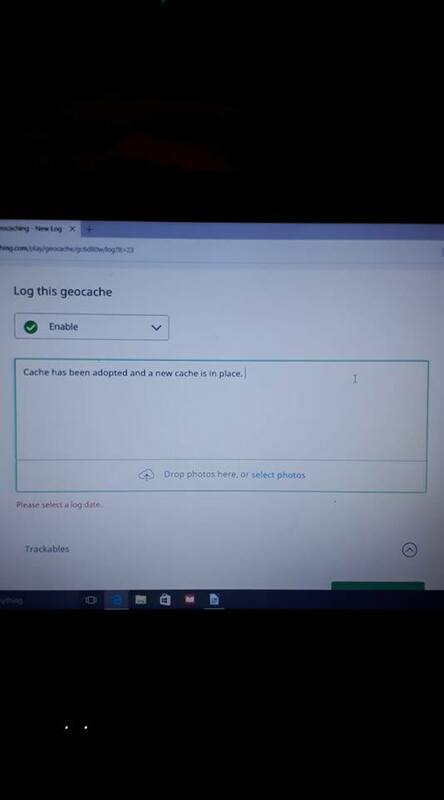 NEW LOGGING, on Geocaching.com - I see no date, or date module with log type Enable, Disable - but the logs did post for me with no issue, and on the cache page, were dated. If you "opt out" to back to "old logging" there is a date module, and that I think will work. If you add more info about operating system and browser, that will help with troubleshooting this. try disabling and enabling some other cache you own, no adoption ;-) see if it works. It has nothing to do with adoption. I tried disabling and enabling one of my caches. It assumes you are doing it on the current date. I didn't try but I would think that you can edit the log to change the date --if there's any reason to do that. It seems to me that there would be a reasonable assumption that Enable/Disable logs would be on the current date. Since it's quite common for people to post Found It or DNF logs on a date other than when the activity occurred, overriding the current date also makes sense. Isn't the date assumed to be the date in Seattle. 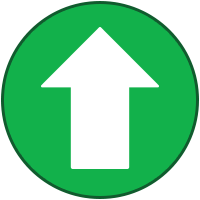 I think there are one or two cachers on this forum that are almost always on a different date than Seattle. For them, a date field would be beneficial. Does no one else see a date flicker at the top right? Just curious. I tried it three more times just now, including once where my son was a witness, and it shows up every time! I didn't see it -- maybe I blinked. 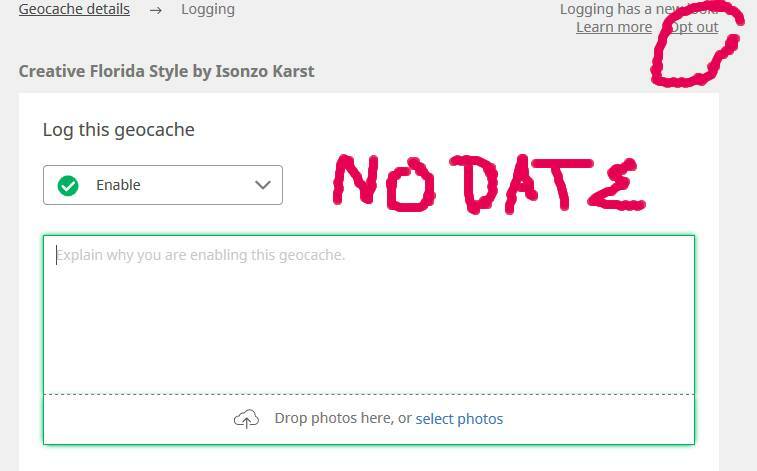 Selecting ‘Enable’ from the cache page, I do see the date flash up briefly before disappearing. But when I ‘Post’, no error message, and the cache is enabled with today’s date as expected. Could this have changed over the last few days? Or maybe a browser-specific issue? Just found out that you can't change the date of a NM log, so it seems likely that the Disable and Enable logs aren't date-editable either. I logged NM's today on caches I found Friday and wanted to make the log date be the day I was actually at the cache -- couldn't change it.